Because liquids are almost impossible to reduce in volume, they cannot be pressurized and therefore must be transported through other means. Centrifugal force causes substances including liquids to move away from their center of rotation; this force can be controlled and used to lift and convey liquid. Vertical Pumps – Neptune Pump Manufacturing Co.
Vertical pumps are constructed from stainless steel, aluminum or cast iron and must be strong enough to withstand internal and external pressures. 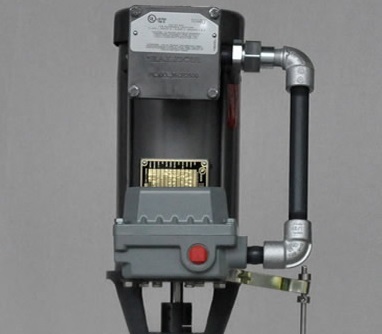 These pumps are most often used for lifting and transporting water, an application that finds many uses in residential, general purpose, industrial and commercial situations. Centrifugal pumps are used in wastewater and sewage treatment plants to handle trash and refuse; certain heavy duty models can pump mixtures of solids that are suspended in liquid. As water pumps, vertical pumps are used for deep well pumping and move water from its underground source to buildings for human use or to prevent flooding or drainage issues. 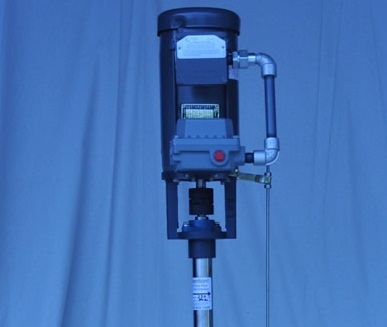 If vertical pumps are made of strong corrosion resistant materials, they are able pump chemicals and acids which is a useful way of transporting hazardous liquids throughout a processing plant. Vertical centrifugal pumps are simply designed machines. A casing called a volute contains a horizontal impeller mounted perpendicularly on an upright rotating shaft. The electric motor uses its mechanical energy to turn the impeller whose blades impart kinetic energy to the liquid as it begins to rotate up the casing. Momentum and pressure carry the liquid (most commonly water) through the expanding volute until it exits through a discharge opening, sometimes at high velocities. Vertical pumps are located underground near the source of liquid which they move up to the surface. They are usually electric because a gas tank would be impractical to store and fill. The power cords are kept in a durable protective casing to prevent any leaks or damage. One example of a vertical pump is an axial flow pump whose impeller is actually a kind of propeller that lifts the liquid in a direction parallel to the pump shaft instead of pushing it in a perpendicular direction like horizontal centrifugal pumps would. Vertical pumps are generally designed in a close-coupled arrangement where the motor and the pump are held in the same slim enclosure that can be lowered into a deep well hole. Another technique is to have the motor at ground level and install the pump underground. Vertical Pumps A vertical pump uses centrifugal force to convert mechanical energy into kinetic energy and increase the pressure a liquid as it travel upwards through a pipe.